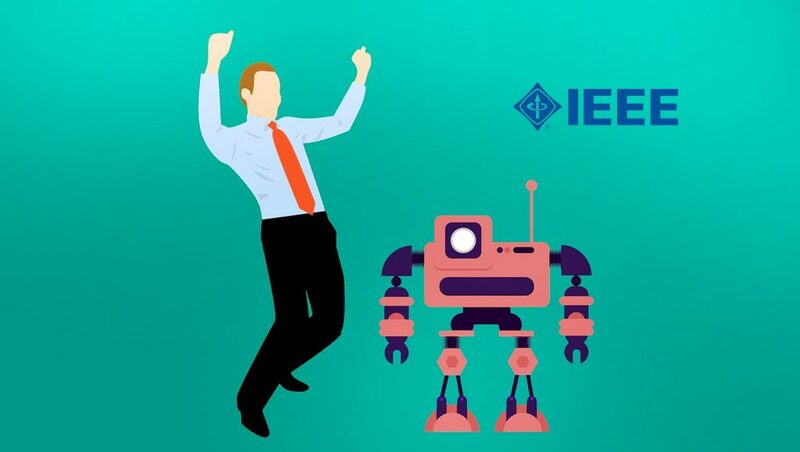 IEEE, the world’s largest technical professional organization dedicated to advancing technology for humanity, recently unveiled “Generation AI 2018: Second Annual Study of Millennial Parents of Generation Alpha Kids.” The latest IEEE survey illuminates how millennial parents in the US, the UK, India, China, and Brazil with Generation Alpha children (eight-years-old or younger), think growing up with health- and medical-related AI technology will impact the lives of their children. Born from 2010-2025, Generation Alpha is considered by many to be the most tech-infused demographic, and AI technologies are expected to infiltrate nearly every aspect of their lives. Experts say wearable technology will soon be able to track patient health data, and by using AI and machine learning, physicians and wearable users will then be able to gain a better understanding of changes in that patient’s health. Millennial parents across the globe are most comfortable letting their Generation Alpha children use wearables to track their health starting with their teenage years (33 percent). However, more than half (58 percent) would have those ranging from as young as infancy to five-years-old (including toddlers) wear them. In the next decade, AI will be even more developed, prompting clear majorities of Millennial parents in various countries to say they would have at least some trust in AI technologies for diagnoses and treatments of their Generation Alpha children. More than half (56 percent) of Millennial parents globally said they would have at least “a great deal of” trust, with India (80 percent) and China (76 percent) leading the way. Parents in the U.K. appear most skeptical, with less than four out of 10 — 37 percent — having at least “a great deal of” trust. While there was a slight increase in the amount of US parents say they have at least “a great deal of” trust (43 percent in 2018 vs. 39 percent in 2017), the number of parents lacking trust increased as well (25 percent in 2018 vs. 15 percent in 2017). Experts say that in the future when people are ill they will be able to converse with a speech recognition-powered chatbot. The chatbot will use AI to compare the symptoms communicated against a database of diseases, patient history, and circumstances, then recommend a course of action. How likely are Millennial parents across the globe to use an AI and speech recognition-powered chatbot to diagnose their sick Generation Alpha child, according to the survey? More than eight out of 10 parents in Asia (85 percent China; 83 percent India), say they are likely to use an AI chatbot to diagnose their sick child in the future, including more than a third (38 percent India; 34 percent China) saying they are extremely likely. However, approximately half of parents in the US (52 percent) and UK (50 percent) say they would not be likely to use this technology to diagnose their child. Facial recognition software and machine learning are also helping clinicians diagnose rare diseases by analyzing patient photos and correlating detected irregularities with rare genetic diseases. More than eight out of ten Millennial parents from Asia (81 percent in China; 84 percent in India), say they would be very comfortable using this technology for diagnosing their child. Close to two-thirds of Brazilian Millennial parents (64 percent) say they would be comfortable using facial recognition and machine software to diagnose their child, while 52 percent of Millennial parents from the US indicated they would be comfortable. However, 51 percent of UK Millennial parents say they would not be comfortable using facial recognition and machine learning technology to diagnose their child. Millennial parents in Asia are significantly more likely to allow robots powered by AI to conduct surgery on their Generation Alpha child (China: 82 percent; India: 78 percent), while 45 percent of Millennial parents in both the US and UK say they would be very likely. Sixty percent of Millennial parents in Brazil say they would be very likely to allow robots powered by AI conduct surgery. What’s more, 22 percent of Millennial parents in the US and 25 percent in the UK say they would be “not likely at all” to allow this surgery on their child. More than half (51 percent) of Millennial parents in India say they strongly agree with this statement, while less than one out of 10 parents in India (5 percent) and China (7 percent) disagreed with this statement. Close to one-third of Millennial parents from China (35 percent), the US (31 percent) and Brazil (31 percent) say they strongly agree. Forty-six percent of Millennial parents in India strongly agree with this statement, while close to one-third of parents from China (35 percent), one-quarter from Brazil (25 percent), 21 percent from the US, and 18 percent from the UK strongly agree. Millennial parents say they would prefer to use AI to live independently during their golden years, rather than relying on their Generation Alpha children. This is especially true in India and China, but much lower among U.S. parents. A clear majority of Chinese Millennial parents prefer to rely on AI (94 percent), with 79 percent of parents in India, and 61 percent of parents in both the UK and Brazil expressing the same sentiment. In 2018, 56 percent of US parents said they would prefer to rely on AI, a seven percent decrease from 2017 when 63 percent of US millennial parents said they would prefer AI and 37 percent prefer to rely on their children. While Millennial parents in Asia are overwhelmingly confident (India: 88 percent; China: 87 percent), parents from Brazil (61 percent), the US (60 percent), and the UK (55 percent) are also very confident this practice will become routine. A majority of Millennial parents in China (85 percent), India (83 percent) and Brazil (70 percent) think AI medical breakthroughs will eradicate cancer. Millennial parents in the US and UK are split on this future outcome; in the U.S. 53 percent think cancer eradication is very likely and 47 percent see it as unlikely, while in the UK 51 percent think cancer eradication is very likely and 49 percent see it as unlikely. Currently, IEEE is the world’s largest technical professional organization dedicated to advancing technology for the benefit of humanity. “Generation AI 2018: Second Annual Study of Millennial Parents of Generation Alpha Kids” surveyed 2,000 parents, aged 20–36 years-old, with at least one child eight years old or younger — 400 each in the United States, United Kingdom, India, China, and Brazil. The surveys were conducted on 17-23 May 2018.